Senate Republicans apparently didn't get the memo about making the health care bill less "mean." Top lawmakers are contemplating changes to the GOP effort to repeal Obamacare that would make even deeper cuts to the Medicaid program, which insures more than 70 million Americans. The revisions could strip benefits -- or even coverage -- from more low-income children, elderly and disabled folks. This seems to be the opposite of what President Trump wants the Senate to do, which is to make the bill less harsh by adding funding to it. The Senate negotiations are shrouded in secrecy. Lawmakers have yet to release any concrete details. But we do know that, like the House, they are planning to effectively end Medicaid expansion for low-income adults by cutting off enhanced funding for the program, albeit over a slightly longer time line. And senators would also keep the House plan to curtail federal support for Medicaid overall by converting it to a block grant or per-capita cap program. States would receive a fixed amount of federal dollars to cover their enrollees each year, instead of the current open-ended funding system. But in an attempt to appease conservatives, the Senate is now looking at slowing the annual growth rate of those grants. The House bill would tie it to the inflation rate of medical costs, while the Senate would peg it to the standard inflation rate. This provision would start in 2025. That doesn't seem like a big change, but it would dramatically reduce federal support for Medicaid over time, experts say. Few states have the money to make up the difference. Instead, they would likely be forced to reduce enrollment by tightening eligibility and to cut costs by slashing benefits and provider rates. "Legislatures can't cough up major new dollars that would have gone into education or infrastructure to back fill a federal hole," said Jocelyn Guyer, managing director at Manatt Health, a consulting firm. Switching the growth rate would cost states twice as much than if Congress turns Medicaid into a block grant or per capita cap, according to Manatt's calculations. That could mean hundreds of billions of dollars of deeper cuts for some states, though it's hard to put a precise figure on it because the Senate hasn't detailed how the conversion would work. States could react in a variety of ways to the funding reduction. The federal government sets minimum standards for who states must cover and what services they must provide. But nearly all states offer coverage that exceeds those basics, and may be forced to cut back if the Senate bill passes. For instance, many states provide home health care aides to children with special needs, disabled adults and frail elderly folks under Medicaid. But these services aren't mandated so they could be on the chopping block in cash-strapped states, said Andy Schneider, research professor at Georgetown University's Health Policy Institute. 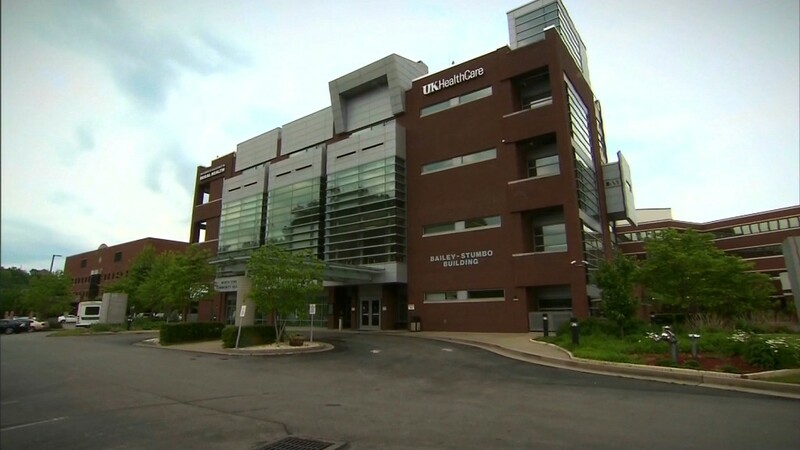 "It will force some pretty uncomfortable decisions at the state level," said Schneider, who worked in the Centers for Medicare and Medicaid Services in the Obama administration. "Ever year, it's just going to get tougher." 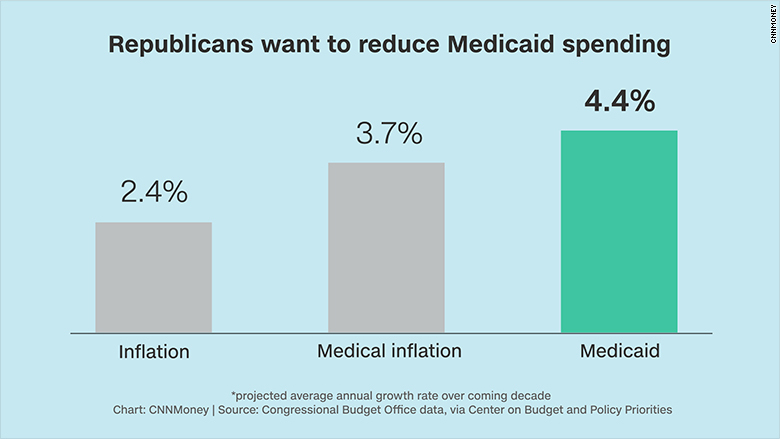 Also, states will have to take into account how quickly spending is growing for each group covered under their Medicaid program and how much of a hit it would have to take if the growth rate were curtailed, said Joe Antos, a health care scholar at the American Enterprise Institute, a right-leaning think tank. Children could also see their benefits slashed since the cost of their health care has been growing at a faster pace than medical inflation, said Guyer. The House bill already would reduce more than $800 billion from Medicaid and leave 14 million fewer people covered by the program in 2026, according to the Congressional Budget Office. Tightening the growth rate would inflict even deeper cuts as the years go by. "If they squeeze states more over time, it would fall into the meaner category," Guyer said. Editor's Note: The headline on this article has been changed to add attribution.